Directory of Home Stagers Welcomes Back Noel Storm and Miriam Neuman for a 2nd Year! Congratulations to these Staging Diva Graduates who renewed their Staging Diva Directory of Home Stagers membership for a 2nd year! Winnipeg, Alberta Home Stager Miriam Neuman owner of Reveal Your Homealso uses her Directory listing as her main web presence. This allowed her to get her business on the Internet fast! Lisa Paquette Yee owner of Resourceful ReDesigns Home Staging and ReDesign serving areas in Central Alberta. Victoria Eves of The Home Staging Touch in Ontario Canada. 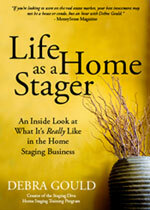 To find out how you too can enjoy the benefits of a listing in the Staging Diva Directory of Home Stagers visit: http://www.stagingdiva.com/stagingdirectorygetlisted.html .